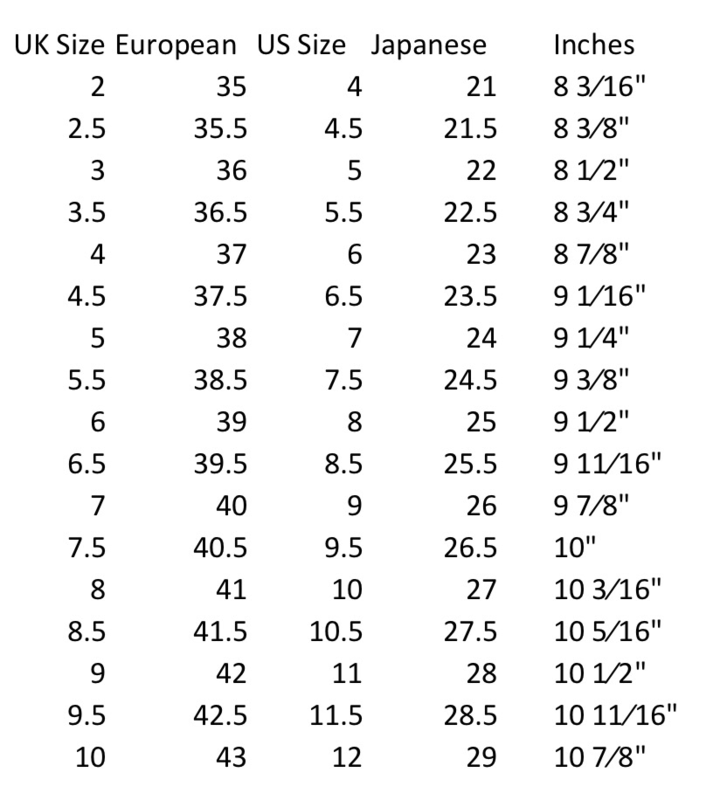 Please feel free to use the attached shoe size conversion chart to find out your respective US, Euro, and UK shoe size. Quite frequently I have had to deal with vintage shoes that do not appear to have a recognisable shoe size, or I have come across a pair of pre owned shoes where the size is just not accessible anywhere on the shoe. This shoe size chart is only a general measurement guide, each manufacturer uses their own unique shoe lasts to develop and design their shoes and as a result sizing is known to vary slightly from brand to brand. To get a better fit, feet are best measured in the afternoon as they tend to be slightly larger later in the day. Use a ruler to measure from the centre back of the heel to the end of the longest toe, usually the big toe. This chart relates to women’s shoe sizes as at present I deal mainly with women’s clothing.